Mina Schaefer, 94, passed away Thursday, Sept 1, 2011 at her home. Mina was born in Coopersville, MI to Paul and Anna Hahn on October 24, 1916. She grew up in Coopersville and graduated from Michigan State University with a Bachelor Degree in Home Economics in 1939. She was a lifetime member of the Alpha Tau Sigma Kappa Sorority. After graduation, she worked as a Home Extension Agent in Missouri. She married her husband of 56 years, George Schaefer on February 3, 1941, in Milwaukee, WI. They lived in Brookings, Hartford, and Sioux Falls, SD. 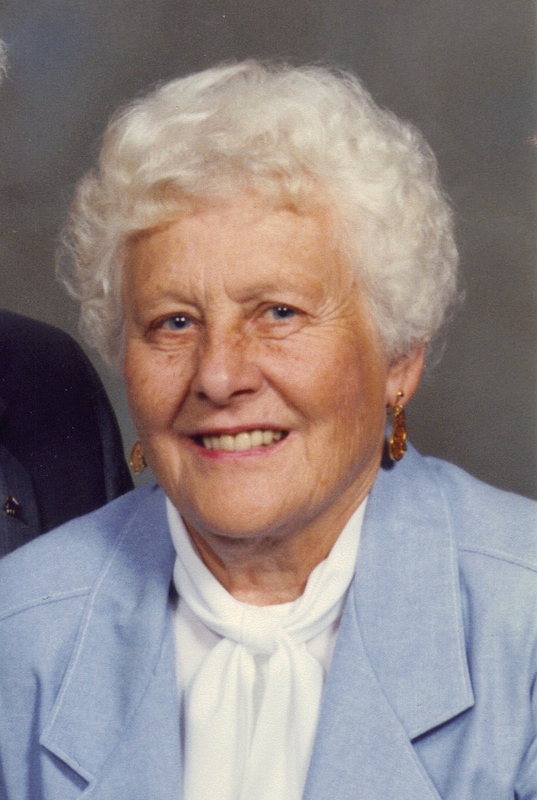 Besides being active as a homemaker, she enjoyed gardening, golf, bowling, and spending time with her children, grandchildren, and great-grandchildren. She was a lifetime member of Catholic Daughters and St Mary's Altar Society. Survivors include children, Doug (Nancy) Schaefer, Lafayette, CO; Terry (Nancy) Schaefer, Ted (Nancy) Schaefer, and Barb (Ralph) Pierce, all of Sioux Falls; 14 grandchildren, 12 great-grandchildren, and 2 nephews, Fred and Paul Bleckley of MI. Mina was preceded in death by her husband, parents, sister, Ella Bleckley, and infant brother. Visitation will be Sunday, 5 PM at Barnett-Lewis Funeral Home with a Catholic Daughters Rosary at 6:45 followed by a Scripture Service. Mass of Christian Burial will be Monday, 10:30 AM at St. Mary Church with burial to follow at St. Mary's Cemetery in Dell Rapids.